OCEAN BEACH, CA. 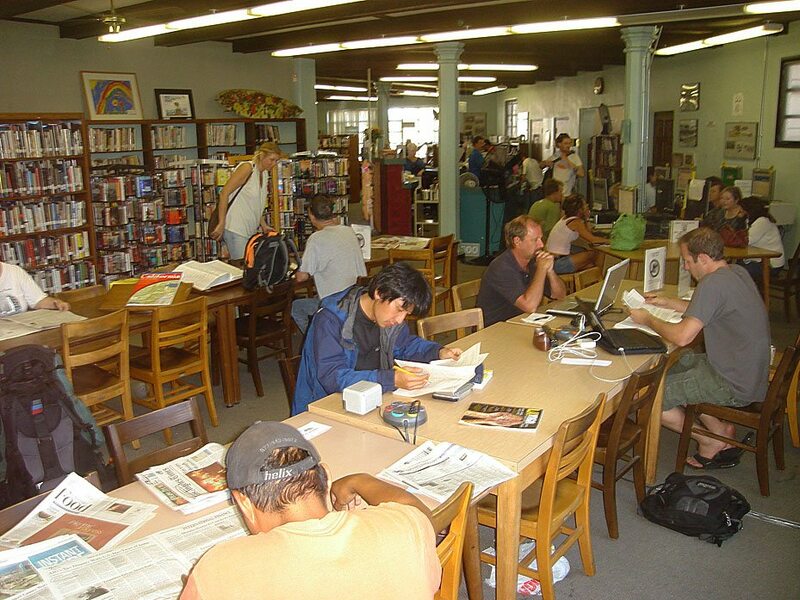 The Ocean Beach branch Library has no better friends than Dorothy Shumway and her family. 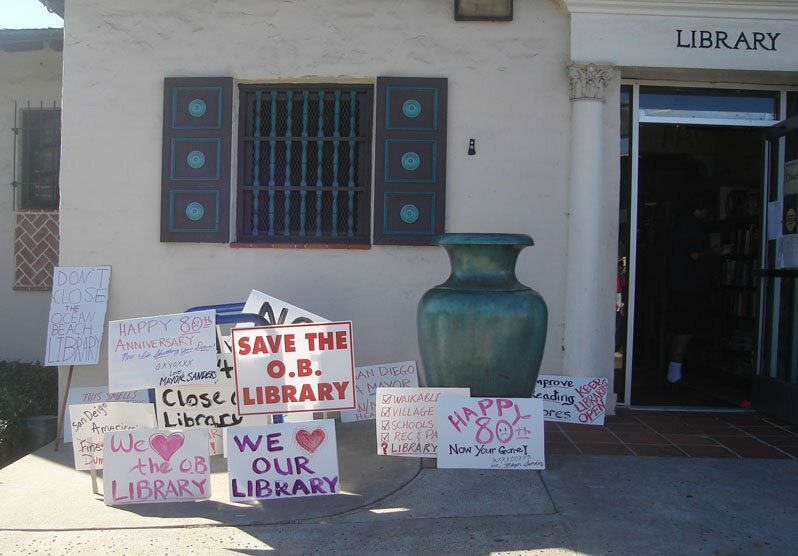 Over the past year, this long-time OB family donated nearly $13,000 to the OB Branch of the San Diego Public Library. Dorothy Shumway, now 83, and her family wrote checks that totaled $12,900 at two different times during 2008, and sent them to the San Diego Public Library Foundation ear-marked for our local branch. This incredible act of generosity by one family in support of the Ocean Library, particularly since the branch has just fought a successful, if temporary, battle to keep its doors open, does need to be recognized by the broader community. Copy of one of the $3700 checks Dorothy Shumway wrote for the OB Branch Library in March 2008. Dorothy Shumway along with her husband George, now departed, used to be very active in the Friends of the OB Library. They built their house on a lot they bought in southern OB in 1948. (George had moved here as a child with his mother Meta in the late 1930s) where they raised their daughter, Lauren, who spoke with us. Lauren described how her parents were avid readers and praised the wonders of knowledge. Lauren has since moved to North Park with her husband Jeffrey Matthias, but she comes to OB everyday to help her mom. Back in March of 2008, Lauren told us, her mom found out that the summer reading program for children was to be terminated – which she thought was a horrible turn of events. So, assured that there would be matching funds from the City of San Diego, Dorothy wrote out one check for $3700, and then thoughtfully, simply decided on the spot to donate more, so she wrote out a 2nd check for the exact same amount. The story of this family’s generosity and support for learning is incredible, especially given the current economic climate. And it is a story that must be known throughout our community, if for no other reason, than, as Lauren noted to us, to encourage other families with means to do the same. It is a very inspirational story, indeed. Lauren, in fact, has an another inspirational story of her own to tell: Amazingly, years ago she had a couple of college classes with Barack Obama. They were both going to Occidental College in Los Angeles, and she has this vivid memory of one day being very depressed and sitting on a bench outside. Obama approached her to see what the problem was, and ended up encouraging her to continue her studies. He then told her that he was leaving to finish college on the East Coast. When she asked why, he responded by saying that if one is to be involved in national politics, you have to go to East Coast schools. What did he want to do? she asked. He told her he wanted to be the first Black president of America. Awesome! Dorothy Shumway for mayor! We have spent so many years speaking truth to power, to a power that has been indifferent or in opposition to who we the people are and what we the people truly value. The opportunity is now upon us to be the power that speaks truth, that practices peace, that creates beauty, that walks in justice. Our time has come! I am a PLNU student looking to write an article for the school newspaper about the possible closing of the library. I was wondering if anyone was a part of or knew anyone that was part of the Friends of the OB Library group.. or if there was anyone at all that could give me information on this situation, as the OB librarians are not allowed to disclose information about it. My article is due this Friday, January 30, so any help at all would be greatly GREATLY appreciated… thank you so much!! Back last December, the Shumway family announced that they would match whatever donation the local OB business Falling Sky Pottery would make to the OB Library. The Pottery had declared back last November that they would contribute 5% of their sales for a 2 week period in the run-up to Christmas. At this point, no one knows what that contribution will be. Perhaps like other businesses, the Pottery didn’t fare so well. But we don’t know. We have been in the process of trying to contact Falling Sky Pottery for the past two weeks, but cannot get any answers or information from them. We’ll keep trying.